Gingerbread. Short Gingerbread. 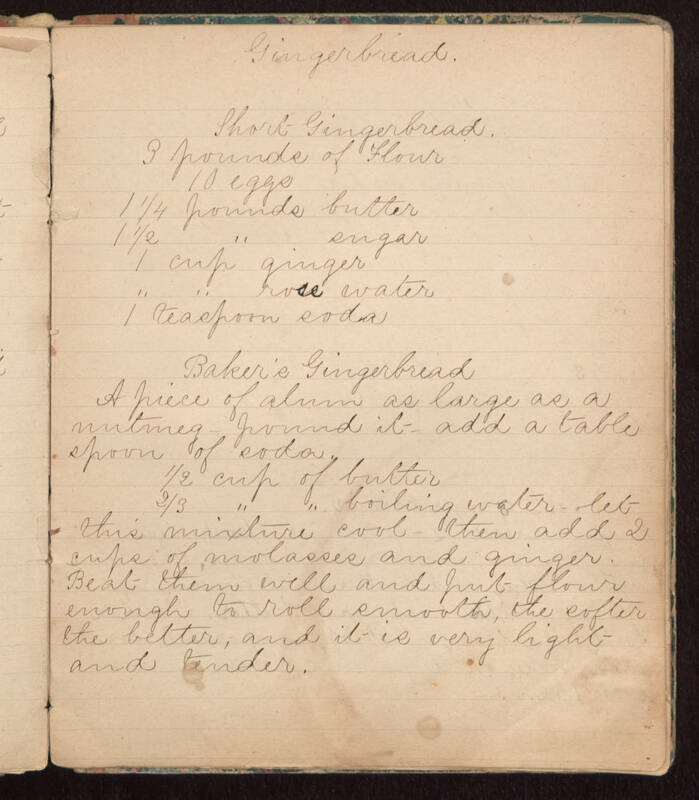 3 pounds of Flour 10 eggs 1 1/4 pounds butter 1 1/2 " sugar 1 cup ginger " " rose water 1 teaspoon soda Baker's Gingerbread A piece of alum as large as a nutmeg - pound it - add a table spoon of soda 1/2 cup of butter 2/3 " " boiling water - let this mixture cool - then add 2 cups of molasses and ginger. Beat them well and put flour enough to roll smooth, the softer the better, and it is very light and tender.